So, we always continuously improve our features. You know that, right? What you don’t know is that you can now use our expert’s chat feature for online help. I know; we get it. You’re looking for a place to share your abilities as a therapist and a counselor. Why not get paid while you’re doing it? Does that interest you? Well, you’ve come to the right place. Not only you can use expert’s chat for your professional services but you can also use it to gain some profit. Why share on expert’s chat? Well, expert’s chat can be used by all. Especially you, like a therapist or counselor, the features are catered to your needs. Expert’s chat (which we will be talking about today). What is an expert chat? As an owner of an expert’s chat. you will be able to talk to your customers in a private chat and charge for your time. 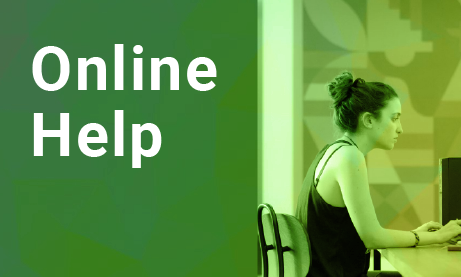 According to a study, online help has already been around for 20 years. However, it was usually used only by the military, and it was called telepsychology in the past. If you use this for online help, of course, this will now be your way of communication to your customer. Don’t go looking for group chat rooms; we want this to be private for you and your customer. Why choose expert’s chat for online help? This is a safe space for you and your customer. We really focused on that for expert’s chat. This also helps you protect your privacy and your client’s privacy. With expert’s chat, you are the master. You are able to see your customer’s every move. On a more serious note, as the admin, you are the only one who will see who’s active. Other users, such as your clients, won’t be able to see other active users. Now to the good part. Expert’s chat also allows you to be paid via paid access option. We know you came for this info. This means that your clients will need to pay an entrance/subscription fee before he/she can connect with you. Of course, we all need money in our lives. That’s why you can use expert’s chat for this exact reason. What can you do with expert’s chat? As we are focused on online help, as a therapist/counselor, you can do the following to start a conversation with your clients. Chat/messaging – The most common way of conversation is talking to each other through messages. If the client is new to online help, you can start with this. Build up an empire, or a community as the mundanes call it, and you can have many customers in no time. Audio/voice calls – This is the next step of communication. This means that the client is opening up to you. We, humans, love to talk. We love good gossip here and there. You can always start with small conversations and then go to heavy topics. With audio calls, you can determine the tone of voice of your client and you can establish trust. Nobody wants someone who’s just feeling close when it comes to mental health. Video calls – The final step of communication. Yay! You’ve got your customer’s trust. Time to do it to everyone else! As a result, you can have face-to-face conversations and you’ll see the body language and facial expressions of your client, which makes online help easier. Now that we’ve tackled expert’s chat, it’s time for you to tackle the customers on your own. There are so many possibilities; don’t be afraid to chase them! You now have another motivation to chase your dream as it’s more accessible (and there’s money). We can guarantee you a good, private, and safe time here.